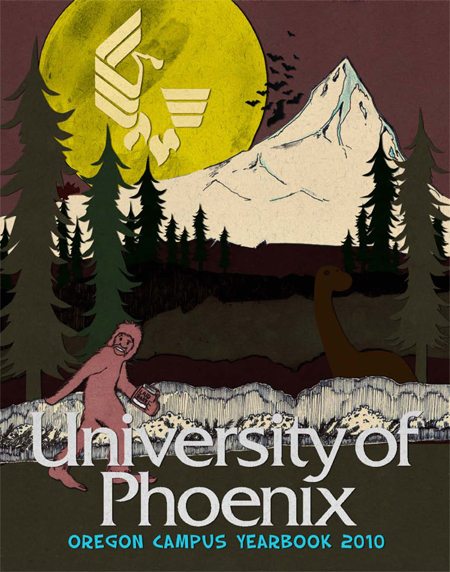 The Oregon Campus of the University of Phoenix hired us to design and print their 2010 yearbook. For a hand drawn we digitally composited ink illustrations so they appeared to be a hand cut collage. We also supplemented illustrated graphics with custom paper cut illustrations to decorate 36 full color pages in a 3 dimensional appearance. The result was a stunning book with the appearance of hand laid paper and illustrations on every page.